The children’s book “Where The While Things Are” came out the year I was born, 1963. Growing up in the 60s and 70s, this was the seminal book of my childhood. I have such vivid memories of it. When I recently picked up a new copy of it and read it to my own five-year-old son, it felt as though no time had passed since I had last looked through its pages. Even though it’s the sparest of stories, Maurice Sendak’s illustrations are so potent, so powerful, that the story not only comes to life but seems epic somehow. Spike Jonze’s adaptation, fully endorsed by the author, expands greatly on the book. A good adaptation ought not be too dedicated to the original source but rather take the essence of the story, find the soul, and express it through the visual media. 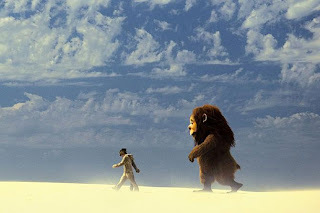 In order to put “Wild Things” on the screen, Jonze and Dave Eggers, who co-wrote the screenplay, went deep into his hero’s anguish and came up with a cathartic and beautiful story about a boy, Max, who is terrified of abandonment. His solution is to create a world of monsters where he is the king. The monsters are grizzly, smelly and full of bombast but also insecure to their core. Like Max, all they want is a someone who will love them and take care of them. In the meantime, sleeping in a pile will have to do. The film is something of an homage to their father, and also clearly a catharsis. In between the traditional talking heads, which include Alan Dershowitz, Phil Donahue and Bobby Seale to name just a few, the two daughters revisit a number of sites where several of his most celebrated cases played out. Some very moving moments exist amidst all the colorful anecdotes. One such moment is when they are standing outside the walls of Attica Prison almost 40 years after 2,000 prisoners rioted and took over the prison and where, by the time the prison was re-taken, the death toll included nine hostages and twenty eight inmates. All of the bullets were shot from New York State law enforcement weapons, something which had been covered up initially. Sarah and Emily stare at a memorial outside the prison walls which only lists the hostages who were killed – the next moment all the names of the slaughtered prisoners appear on the screen, the first time such a list has ever been published. 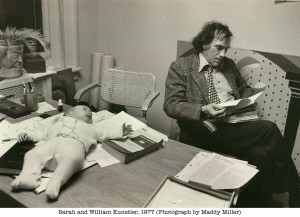 Footage of Kunstler inside the walls just hours before the blood bath shows a man who saw the prisoners as human beings, and ones whom were being denied basic human rights. 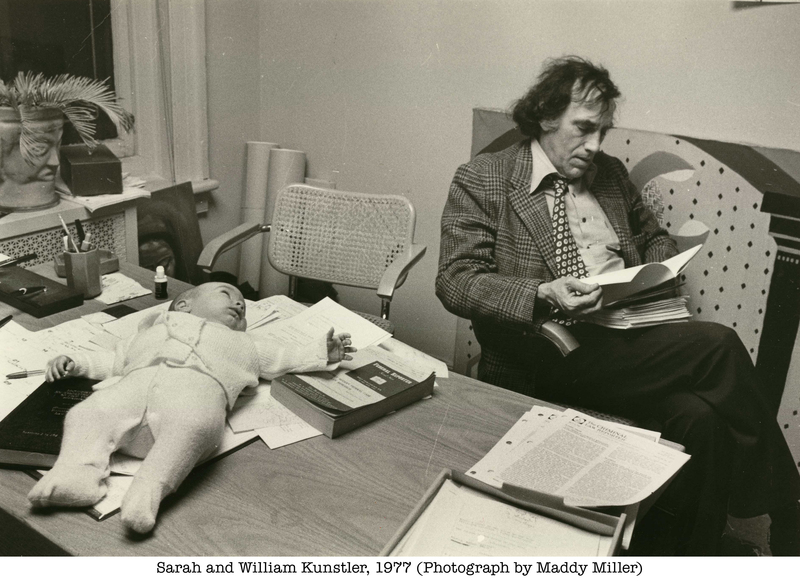 Through this experience as well as his work with the Chicago Seven, the Black Panthers and the Native Americans at another stand-off at Wounded Knee, Kunstler’s radicalization was complete. Years later, as he settled into family life on Gay Street here in the West Village, he took on less and less popular cases including the Central Park jogger defendants and the assassin of Meir Kahane. Among his critics in those days were his two young daughters. 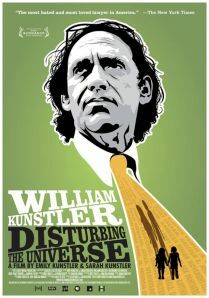 “Disturbing the Universe” doesn’t try and re-make Kunstler into a saintly defender of the constitution, just a complex man who attempted to bring racism into the bright harsh light of day.